Random Acts of Kindness in the workplace welcome. - now more than ever. Strive for the goal knowing you have a long journey. Learning to work together improves the working relationships. 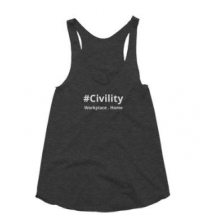 Restoring civility within every interaction.